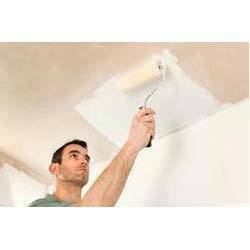 With the constant support of our dexterous crew of professionals, we are fulfilling the varied requirements of our clients by offering optimum quality Primers Paint. We “Celebration Paints Pvt. Ltd.” have gained success in the market by manufacturing a remarkable range of Wall Paints, Industrial Paints, Rubber Seal Compound, Solvent Liquid, Paint Thinner, Acrylic Paint, Primers Paint, etc. We are a well-known and reliable company that is incorporated in the year 2011 at Jaipur (Rajasthan, India) and developed a well functional and spacious infrastructural unit where we process these products in an efficient manner. We are a Private Limited Company that is managed under the supervision of our mentor “Mr. Anup Gupta”, and have gained huge clientele across the nation.